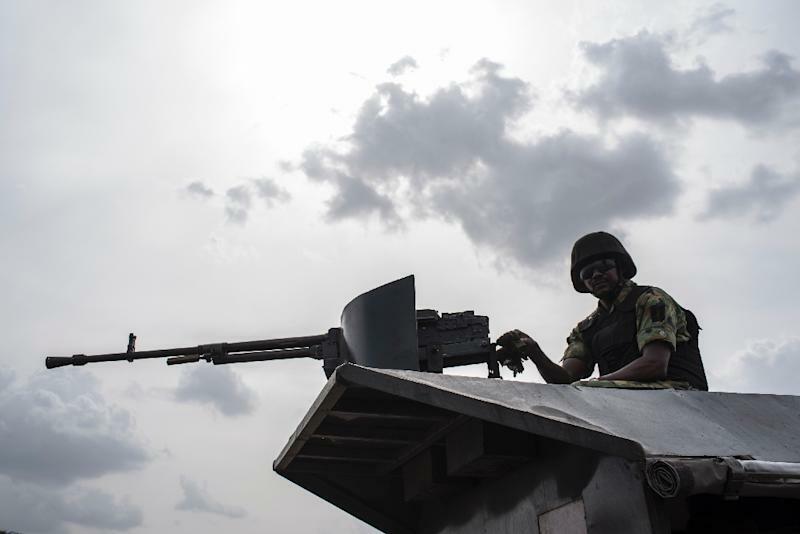 Kano (Nigeria) (AFP) - Soldiers have thwarted another Boko Haram attack on an army base in northeast Nigeria, the latest in a series of offensives against military targets in the remote region. Nigerian Army spokesman Brigadier General Texas Chukwu confirmed troops from 145 battalion were fighting the jihadists, calling the battle "fierce". "The terrorists attacked the base around 6:00 pm (1700 GMT) but they met stiff resistance from troops who engaged them in hours-long battle," he added. The latest attacks have been blamed on the Islamic State West Africa Province (ISWAP), a Boko Haram splinter group headed by Mus'ab al-Barnawi and backed by IS. President Muhammadu Buhari was elected in 2015 on a promise to defeat Boko Haram, whose insurgency has killed more than 27,000 people in northeast Nigeria since 2009.